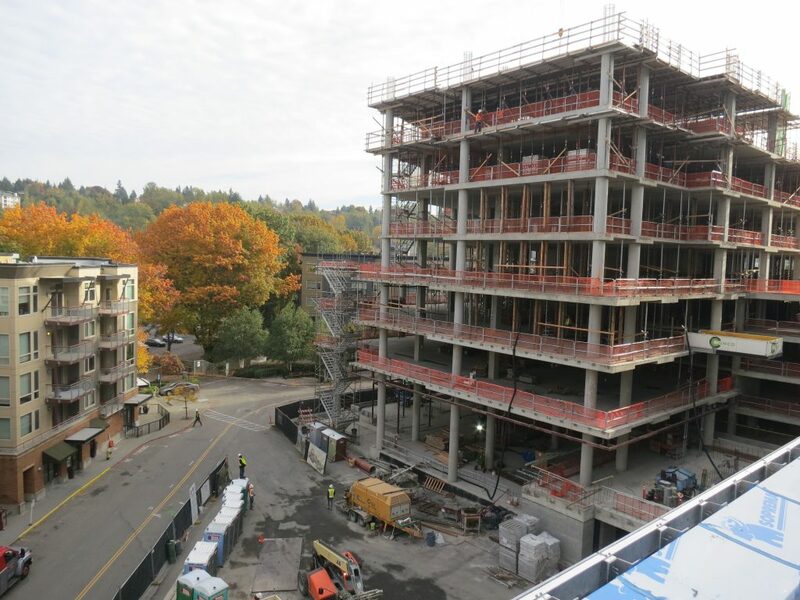 Tower 1 construction continues this month with ongoing emphasis on restrooms and preparation for lobby finishes. 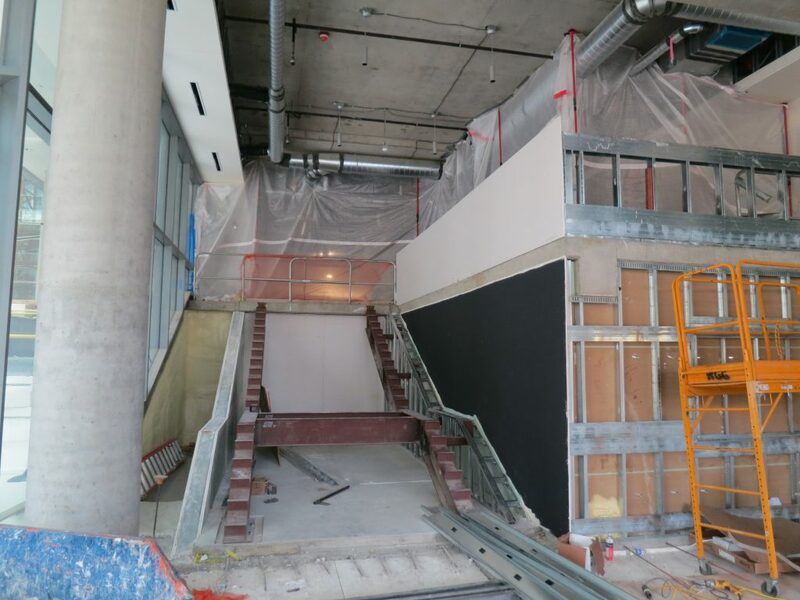 The tower restrooms have floor tile, countertops and partitions complete through level 9 with trim out for mechanical, plumbing, and electrical ongoing. 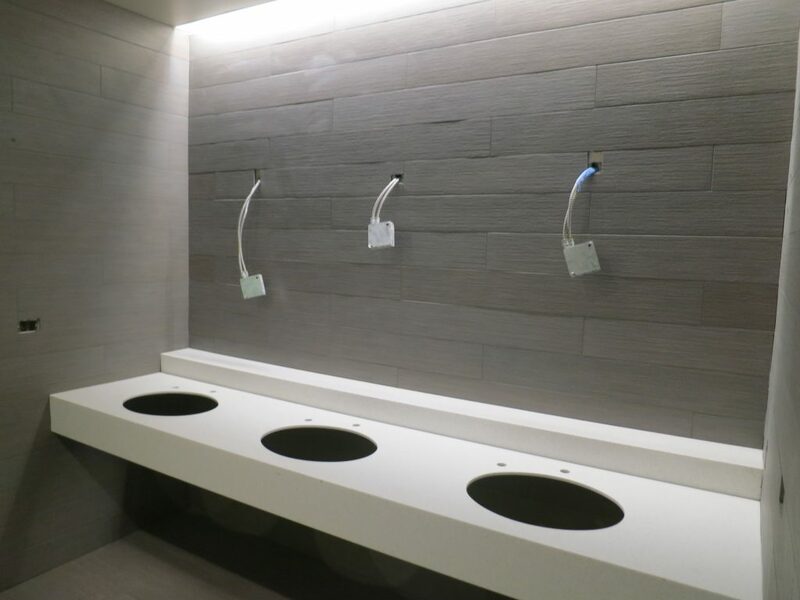 The podium restrooms have floor tile complete with fixtures and countertops being installed currently. Temp heat is in use to acclimate finishes for install once all prep work is complete. 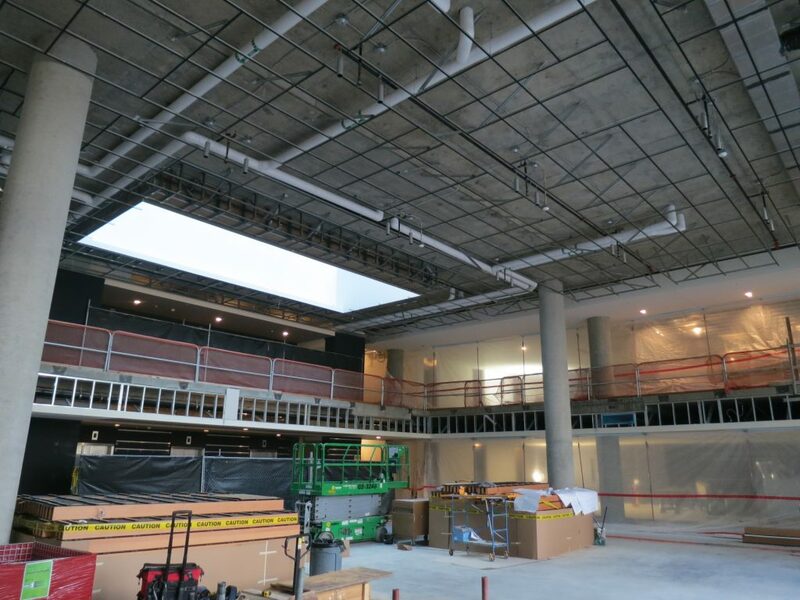 The structure for the wood ceiling at the lobby is just about finished and the wood install will begin in just a few weeks. Support structure is also complete for the wood paneling at most of the podium common areas. 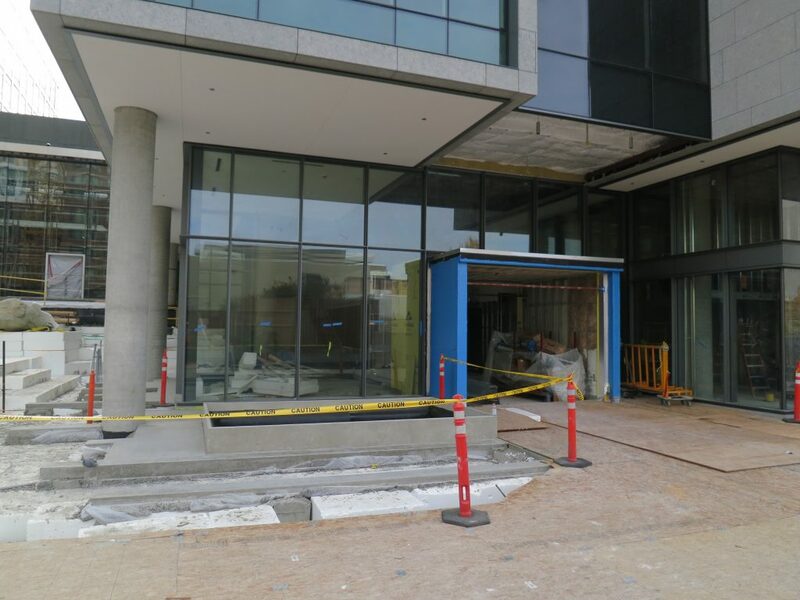 Work also continues at the main entry vestibules at the lower lobbies as stair stringers are in and the precast concrete stairs will begin install next week. Painting for the tower is ongoing and is approximately 80 percent complete. 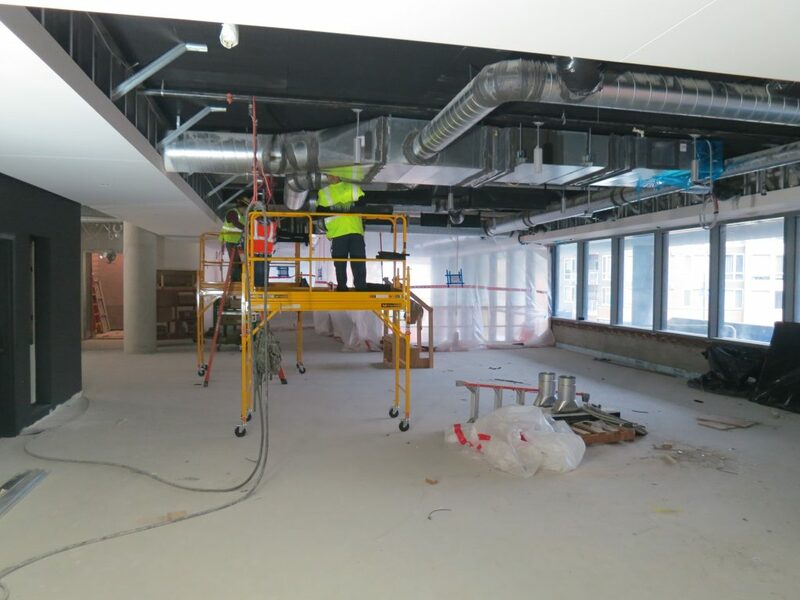 The management offices at the ground floor continue with MEPF rough-in as well as sheet rock taping which is ongoing. The Tower 1 interior man lift has been dismantled and access for the tower is now accommodated via one of the main tower elevators. 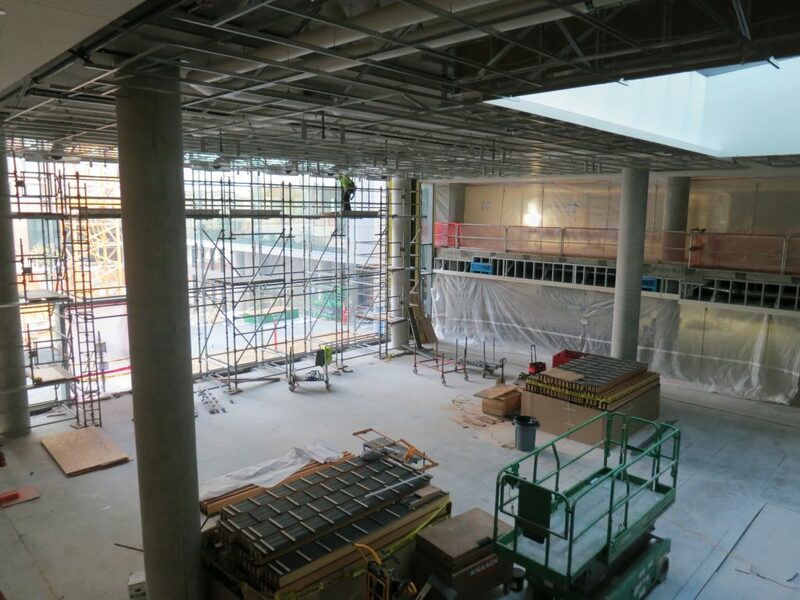 Balcony work at levels 5 through 8 is ongoing with framing complete and metal panels currently being fabricated, railing to follow. 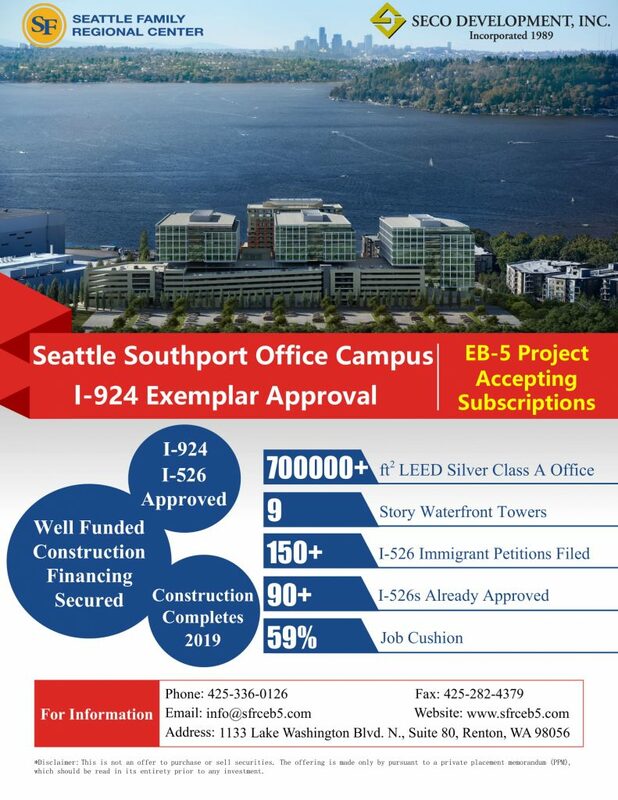 Tower 2 construction continues this month similar to work on Tower 1 with temporary certificate of occupancy planned for the beginning of next year. Restroom install is progressing the same as Tower 1 with tiling complete in most of the tower and partitions and trim out ongoing. 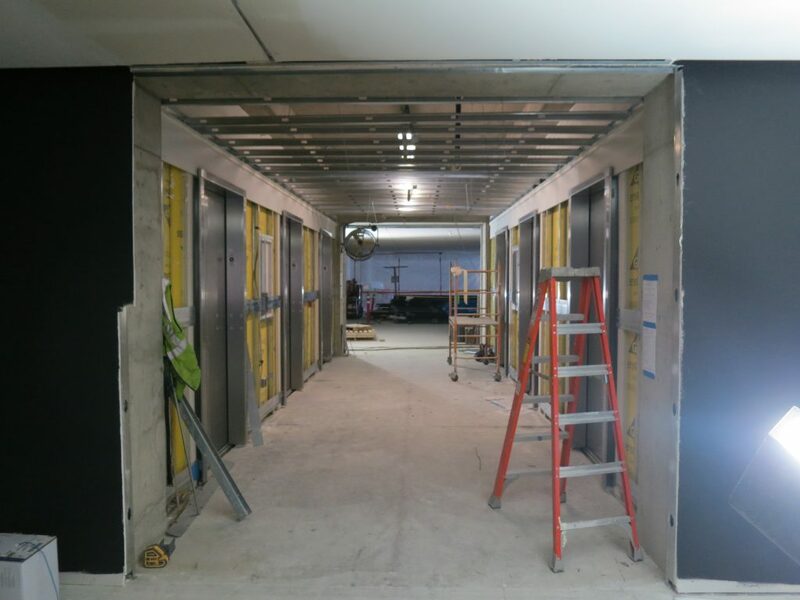 At the tower elevators, door fronts are complete with the build-out of the elevator lobbies ongoing. Painting for the tower is ongoing and is approximately 65 percent complete. 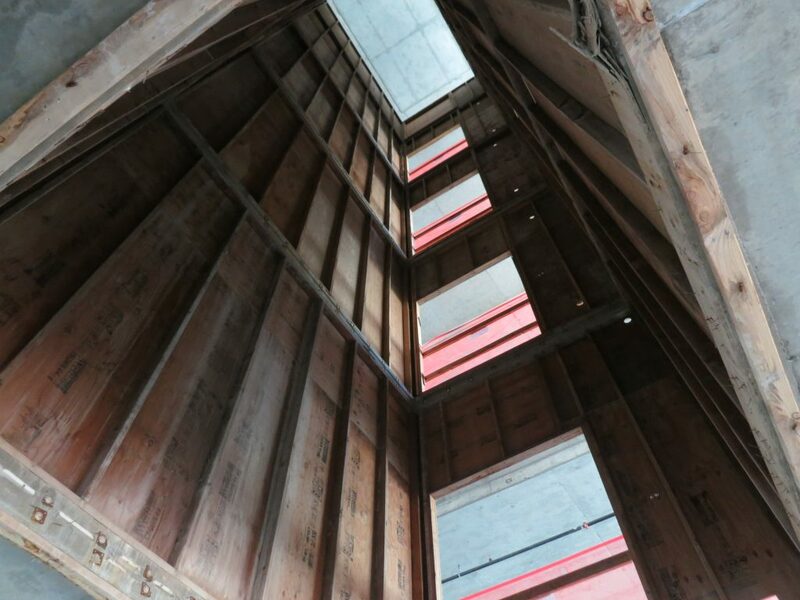 The exterior balconies also have framing complete with metal panel fabrication continuing this month along with work stair stringers being hung at the main entry vestibule. 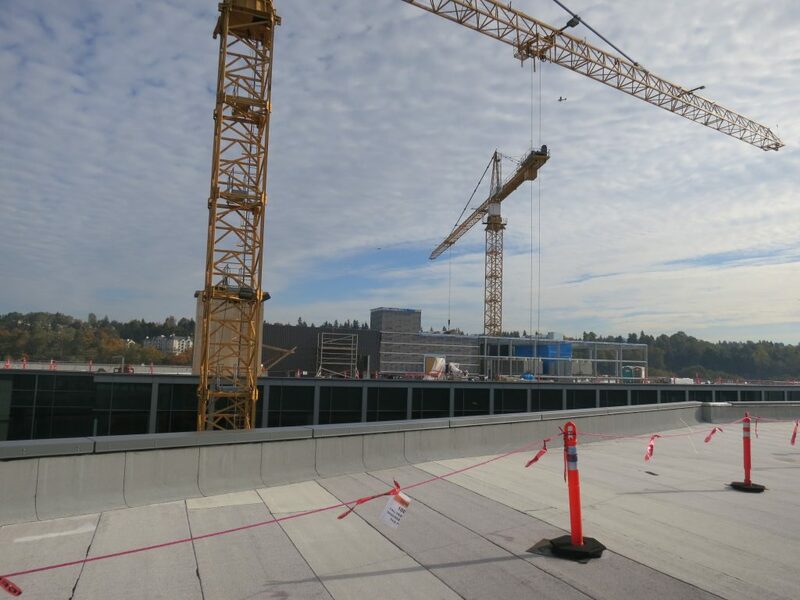 Tower 3 concrete decks are on schedule to be completed by the end of 2018 as they will be beginning Office level 8 by the end of October. Steel install is in process at levels 2 through 4 for the area called the Drawer where the stone band will wrap the exterior. 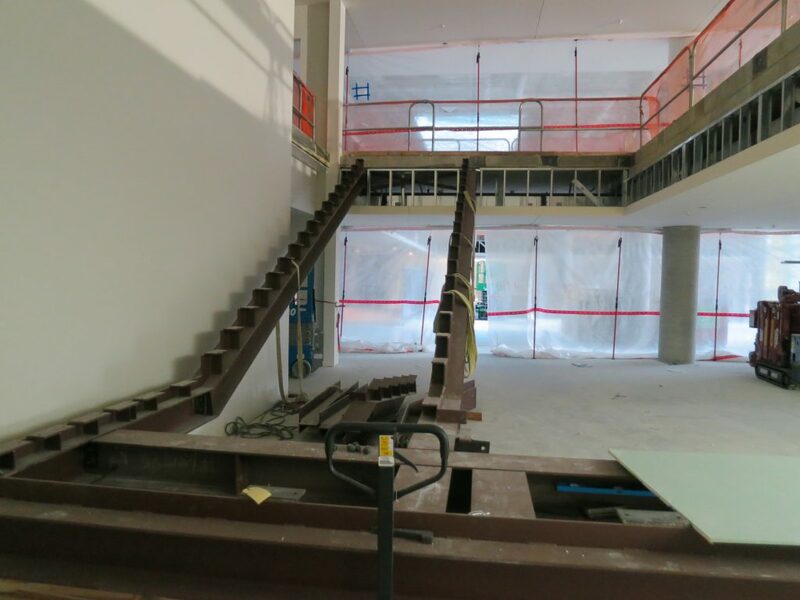 Steel stairs are also ongoing up through the parking levels to the tower. 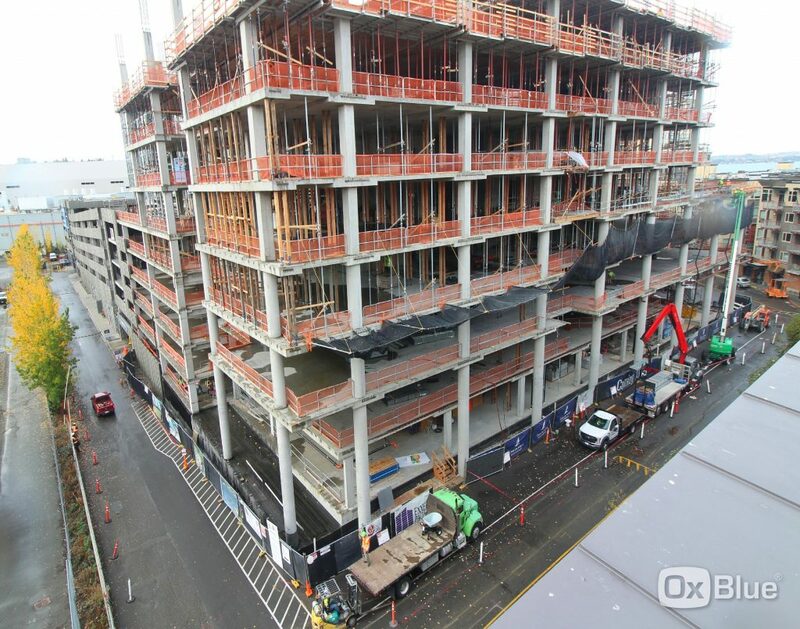 Work is ongoing for the Tower 3 parking garage levels P0 through P6 with regards to rough-in for lighting, storm drain piping, fire sprinkler, and masonry. Site work has been ongoing for the plaza area between towers 1 and 2 with foam complete and concrete flatwork commencing. 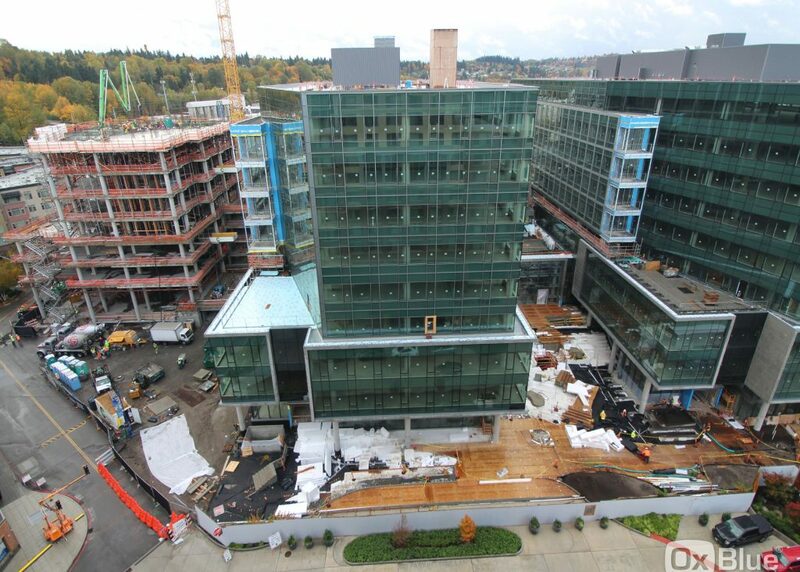 Soil will begin to be installed by the end of October. The north tower crane will be removed in late October so that the plaza area can be finished up to the main lobby. 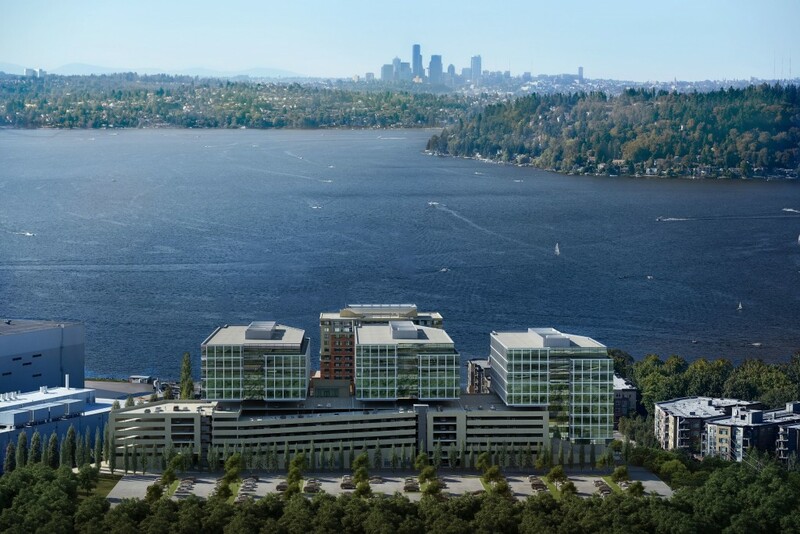 The road improvements for the Lake Washington Boulevard Widening project which will widen the road to four lanes when complete are ongoing this month. 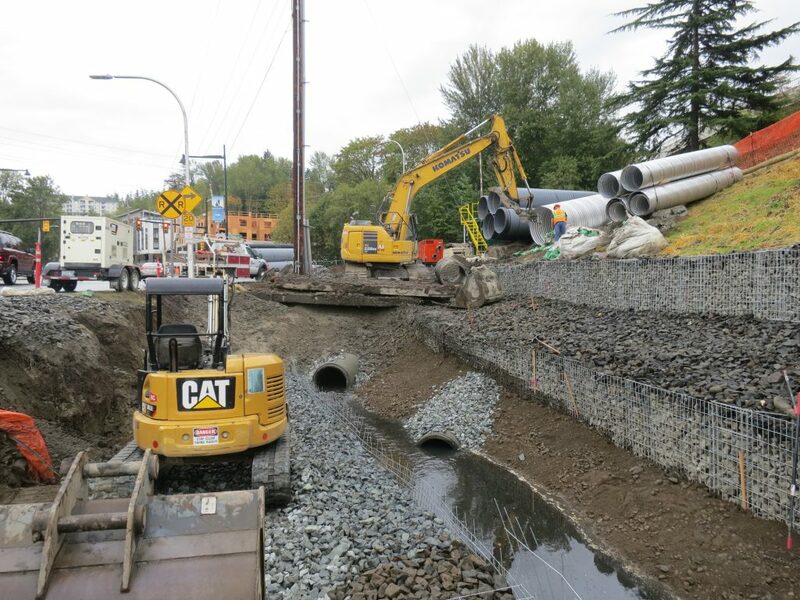 All in-water and hillside work is complete including gabion retaining walls, culvert extensions, and stream bed enlargement. Utilities and street lighting will follow with paving and guardrail to make up the balance of the project. 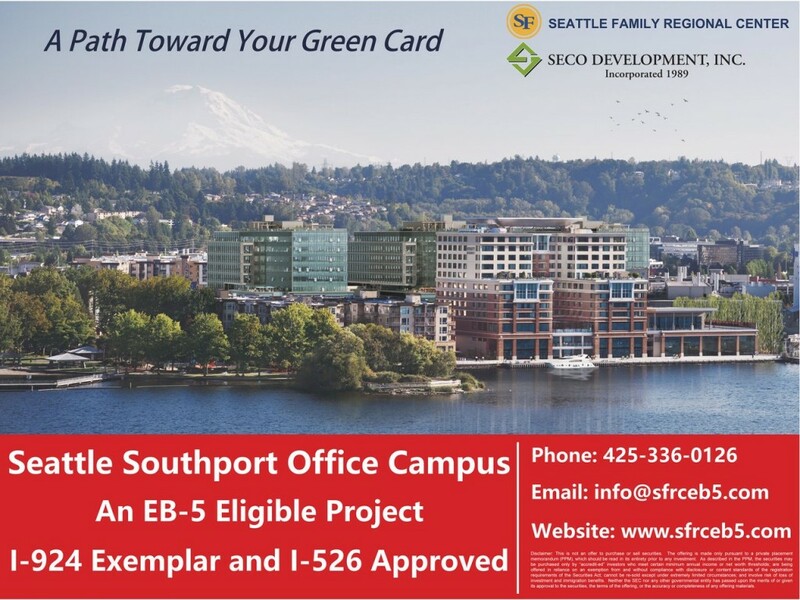 When complete, wayfinding signage for Southport will be installed as well. The project is anticipated to be completed by the end of the year.